Peterson Grading & Excavation, Inc. is a state licensed & fully insured Grading, Excavating, Drainage, and Erosion Control Company providing services in the Charlotte Metro Area and surrounding areas. 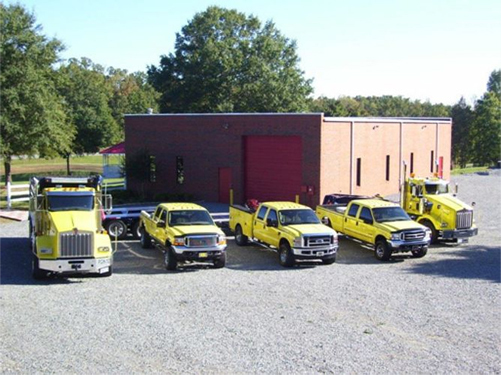 Our company is family owned and operated and have been serving North and South Carolina for over 40 years. Peterson Grading & Excavation, Inc. is focused on providing exceptional services and a quality of work that’s superior. We have the right equipment to get your project completed properly and efficiently. Peterson Grading & Excavation, Inc. offers a full range of services to complete Site Development, Land Clearing, Demolition, Drainage Solutions, Erosion Control, Driveway Removal & Installation, Parking Lots, Ponds, and Riding Rinks. We also offer Retention Wall & Patio Construction, Turn Key Jobs, as well as, Hauling Gravel/Dirt/Mulch. Peterson Grading & Excavation in Concord Peterson Grading & Excavation in Charlotte. We will always find the real cause of your problem, not just treat the symptoms. We are fully licensed, insured, and have over 41 years of experience in land grading and clearing, drainage and erosion control, as well as site development, demolition, retaining walls, walkaways, patios, driveways and parking lots and more. We will be upfront and determine the best solution to fix the cause of your problem with the best possible solution. We strive to ensure every customer will get the best result for every dollar spent with our business, every time.